FacebookA still from Facebook’s video about a new feature called Slideshow. Facebook has a serious case of Snapchat FOMO. That much is clear with a feature Facebook announced on Monday called Slideshow. Here’s how it works: The Facebook app stitches together photos and videos you’ve taken in the past 24 hours, adds special effects, and shares a slideshow on your profile. Sound familiar? That’s because it’s very similar to Snapchat Stories, which are also compilations of photos and videos taken in the last 24 hours. Facebook says it began testing the Slideshow feature in its Moments photo sharing app before making it available in a few countries late last year. 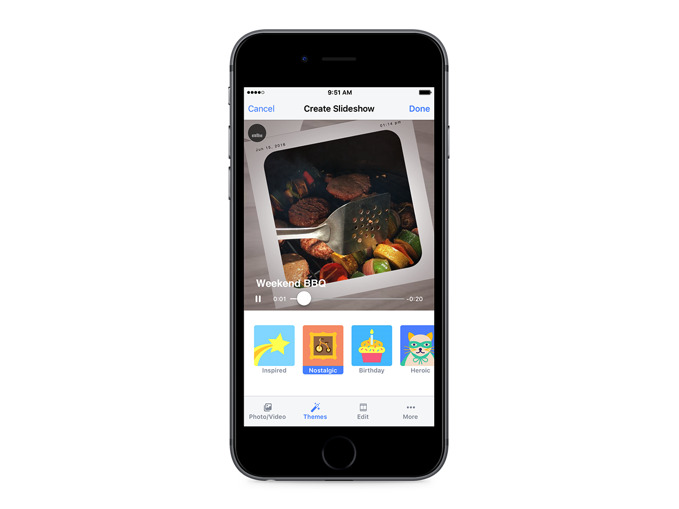 If you’ve taken at least five photos or videos on your phone in the last 24 hours, the Facebook app will prompt you to create a Slideshow at the top of your News Feed. You’ll be able to choose from 10 visual themes, like “Nostalgic” and “Playful,” that all come with their own animations and soundtracks. 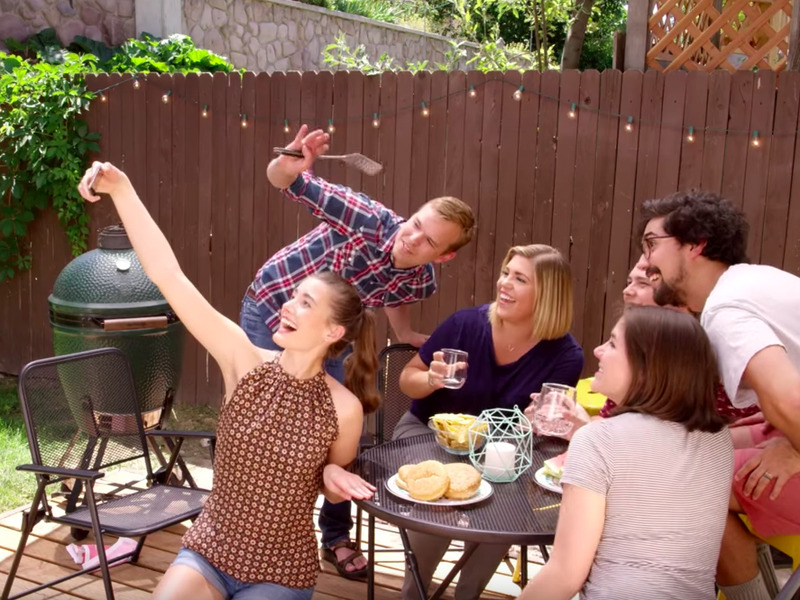 “We all know that people love to snap photos and share what they have been up to on the weekends, whether it’s a family gathering, a road trip with friends, or even an epic brunch, and this fun new feature will let you stitch together those special photos into a format that captures the spirit of the event,” Facebook said in a statement. What Facebook won’t say is that Slideshow is another attempt to get people sharing their more personal moments on Facebook again. Multiple reports have said that Facebook has seen a decline in original sharing amidst the soaring popularity of links and videos in the News Feed. In short, people are watching videos and sharing news stories more than they’re posting status updates and baby photos. Facebook’s Slideshow feature will be available to all iPhone users starting this week.